​Rolling Strong, the provider of driver wellness programs for transportation companies and their drivers, as well as owner-operators, today announced a partnership with Enrollment First Inc. to offer affordable insurance benefits to owner-operators, and to fleets with independent contractors. The partnership takes a breakthrough proactive approach to providing healthcare benefits for truck drivers by automatically enrolling Enrollment First customers in the Rolling Strong health and wellness app. Through its partnership with Rolling Strong, Enrollment First will provide choices in insurance products for drivers and fleets. Its health benefits coverage lines offer wellness and preventive visits without a co-pay or deductible. Additional plans in the voluntary portfolio include dental and vision coverage, life insurance, and other options. Under the agreement, Rolling Strong will promote Enrollment First to its platform users and current and new Enrollment First customers will have automatic access to the Rolling Strong health and wellness platform. 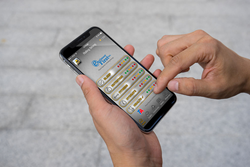 The Rolling Strong health and wellness mobile app for IOS and Android devices offers exercise programs and nutrition and personal health guidance, including the ability to connect with a wellness coach. Drivers can also earn points and rewards for logging sleep, exercising, and meeting daily calorie goals. Enrollment First, Inc., based in Knoxville, Tennessee, is a health solutions company with a large network of medical benefits providers that specializes in a turnkey solution for motor carriers, and provides a complete solution to enrollment and marketing for drivers and their individual choices of insurance products. The company employs a dedicated team that manages the day-to-day insurance questions and needs of motor carriers, and drivers on the road. To learn more about Enrollment First, visit http://www.enroll1st.com. The provider of driver wellness programs for transportation companies and their drivers and owner-operators, Rolling Strong promotes behavior change and provides support in the areas of Nutrition, Fitness, Sleep, Stress Management and Weight Management. Driven by its mission to reverse the declining health of America’s CDL Drivers and get them home safely, the company offers in-terminal and on-the-road solutions that target health improvement. Its customizable programs include the Rolling Strong App for drivers and administrative reporting capabilities to help carriers and drivers improve compliance with CDL medical requirements and to implement and manage their wellness initiatives. For more information, visit http://www.rollingstrong.com.